Labor Day officially ends our time in Oregon, as our work volunteering for the state parks is complete. This summer has exceeded our wildest dreams! Coming in, we weren’t totally sure what to expect…we just knew it would be new and challenging. 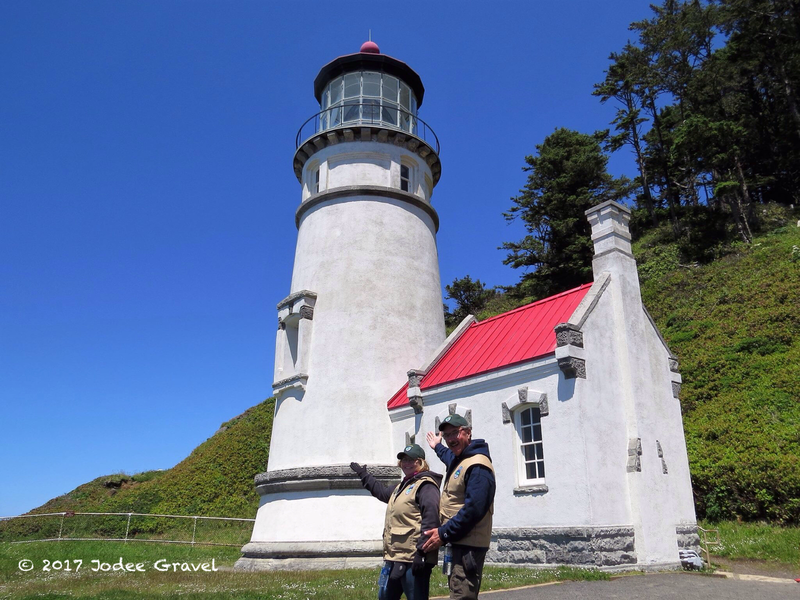 When we finished up as interpretive hosts at Heceta Head Lighthouse at the end of June, we headed east to Prineville Reservoir State Park and our two month stint as interpretive hosts here. 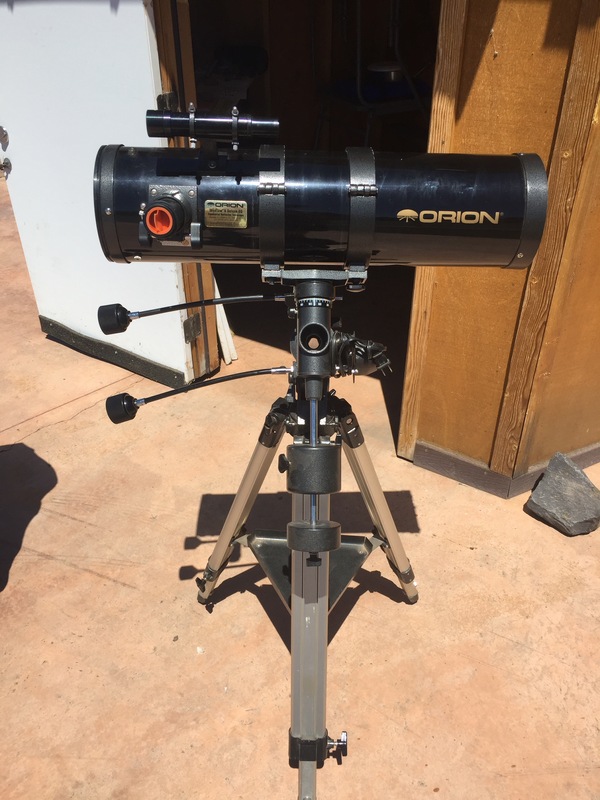 We knew that they had an amplitheater, a big telescope, a lake, and that they were in a high desert climate. 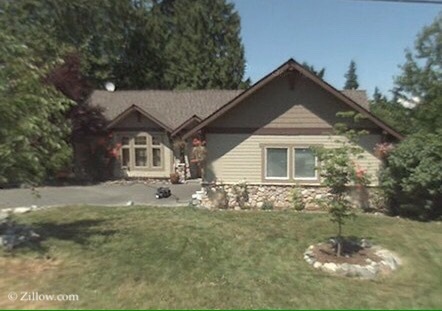 Looking at Google Maps failed to reveal the topography, but it did show a whole lot of brown. 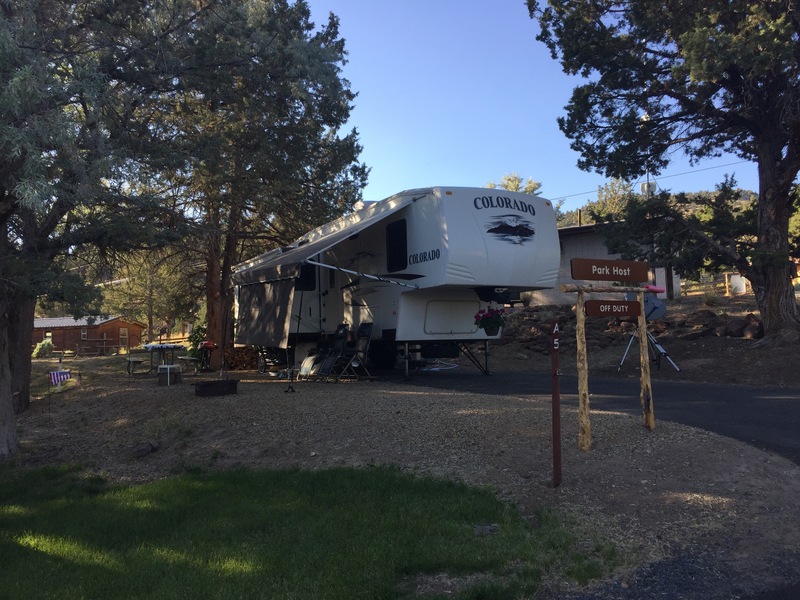 We had heard from others that the town of Prineville didn’t have much to offer, and that was going to be our anchor for food, gas, and the like. Redmond and Bend were farther away, but still close enough to get to on our days off…and they have every service imaginable. 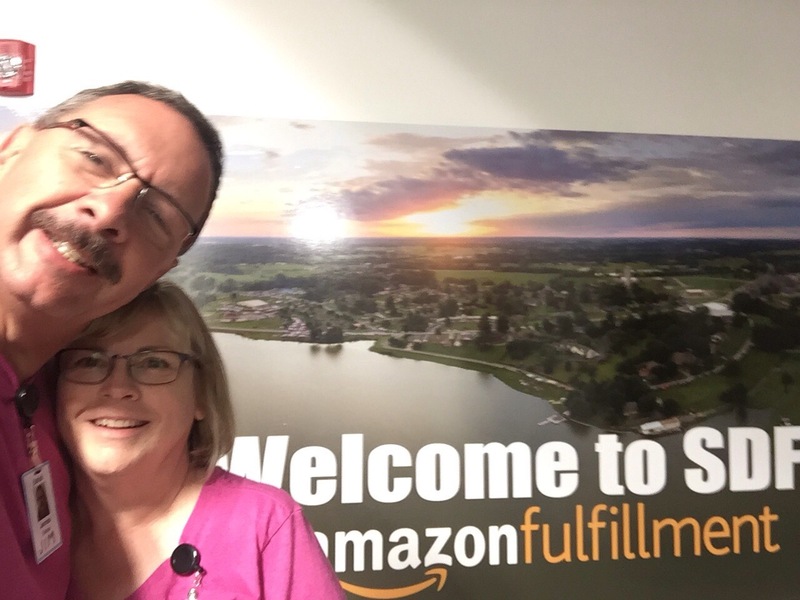 At the park, the manager who hired us was promoted and moved to a new location, so we weren’t clear as to what our position entailed. As you can see, there was a fair amount of uncertainty for us as to what we would find here in Central Oregon. Once we crossed the Cascades and dropped into Sisters, the air dried out and the landscape changed. The area around Redmond was somewhat flat, and there were a fair amount of sagebrush and juniper trees. Heading into Prineville, we decided to stop at the Ochoco Wayside to use the facilities in our rig. Wow! The town of Prineville spread out before us in a giant basin. We would later find out that the lowland is actually a giant 25 mile wide caldera from an long-extinct volcano. 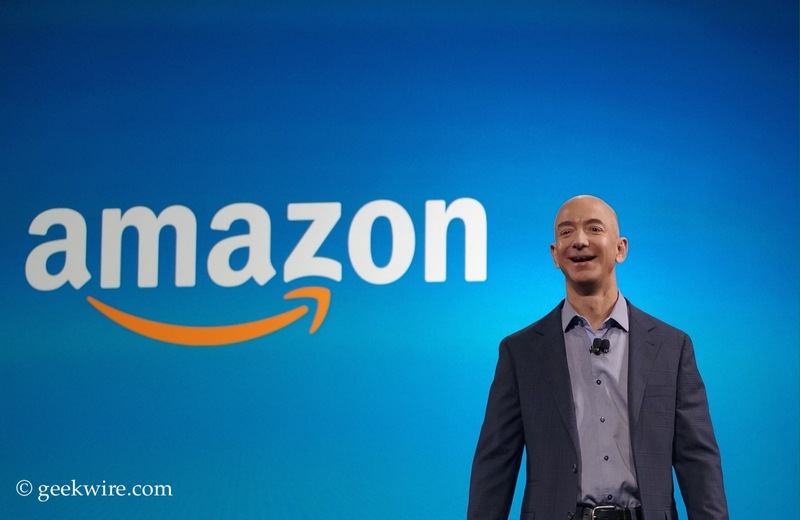 The town is home to Les Schwab Tire Centers, Facebook’s first data center, and a large Apple data center. Still, the town is a laid back western community, with the school mascot being the Cowboys. Beyond the city, the Ochoco Mountains stretched as far as the eye could see. Google Maps didn’t show that! 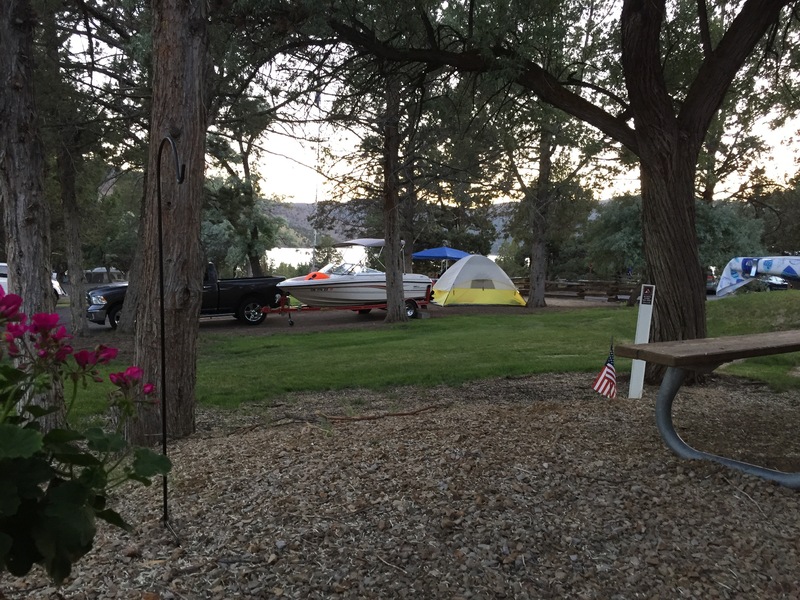 Driving 17 miles southeast of town, we came to Prineville Reservoir State Park. What we thought was going to be a dusty campground was actually quite green. What a delightful campsite! 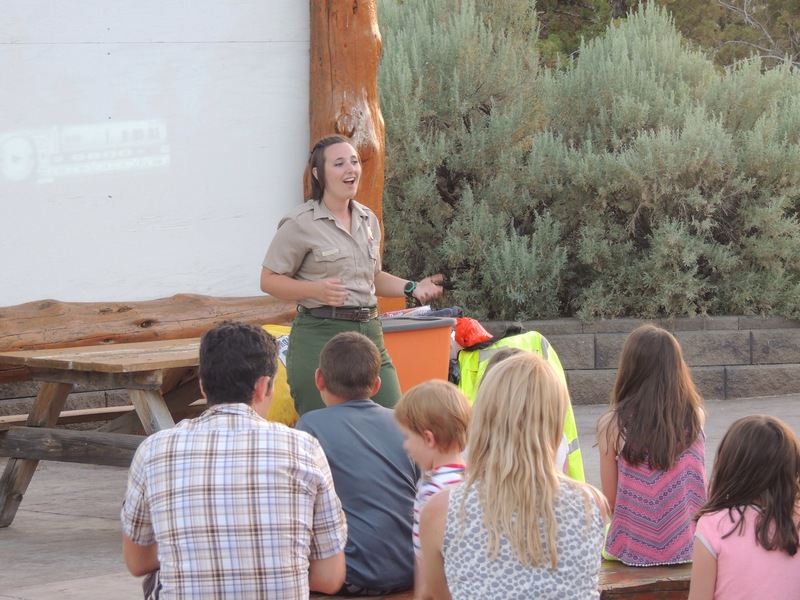 Before too long, the park’s interpretive ranger, Mariah, came springing down the hill from her office and introduced herself. She was very enthusiastic and fun, and we were pretty sure by her greeting that this was going to be a good experience. Well, the experience has been outstanding. 😊 Mariah is an absolute hoot…and not just because she thinks owls are “super cool”. 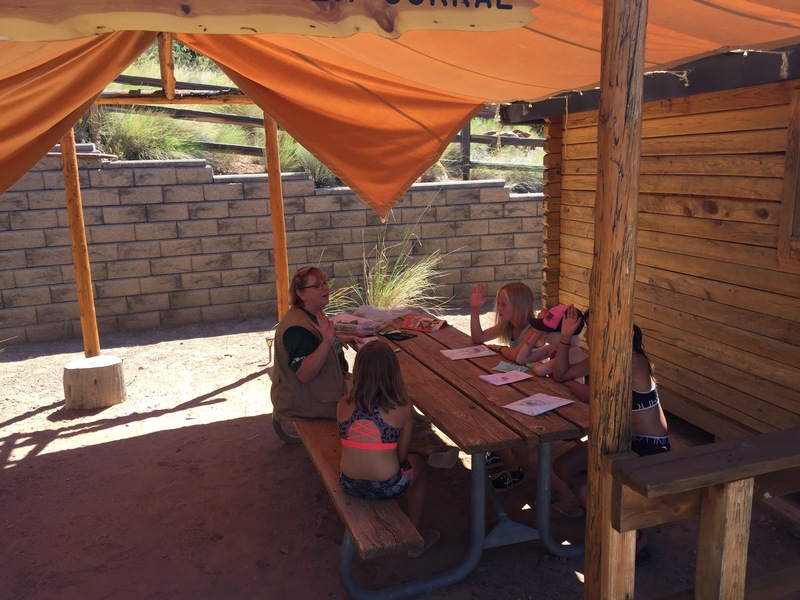 We have learned a lot of new things from her about birds, trees, fish, mammals, snakes, rocks….the list goes on and on. 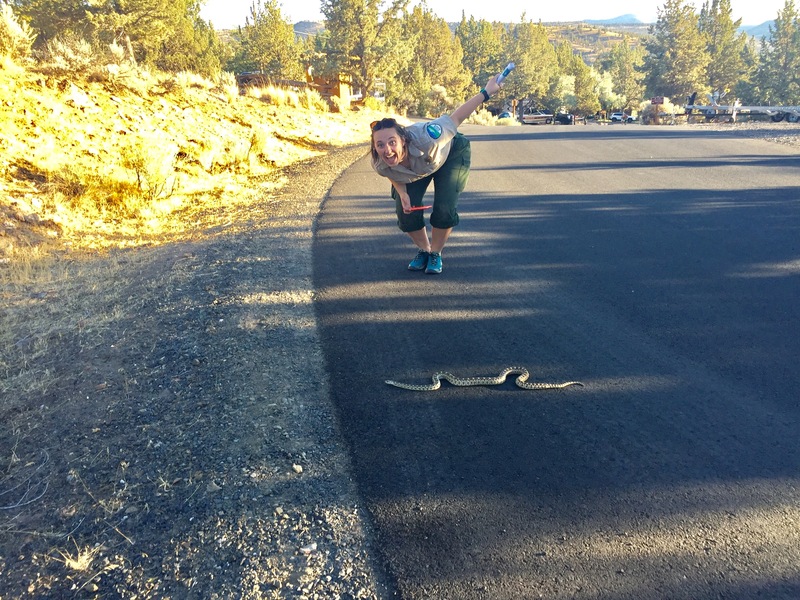 That snake we were helping cross the road is a bull snake; non-venomous. 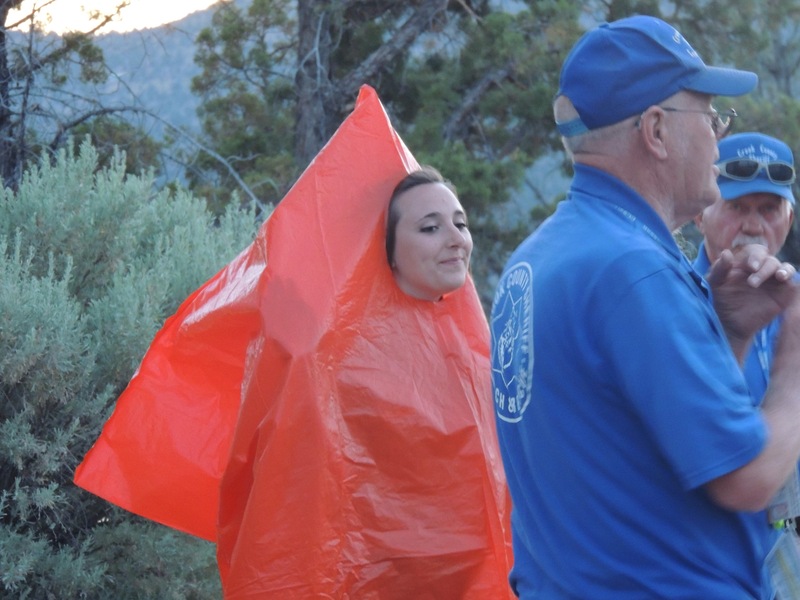 She even had the Redmond Smoke Jumpers visit a couple of times. Here she is in her gear, ready to jump! Take note of the fact that it was over 100 degrees when this photo was taken! 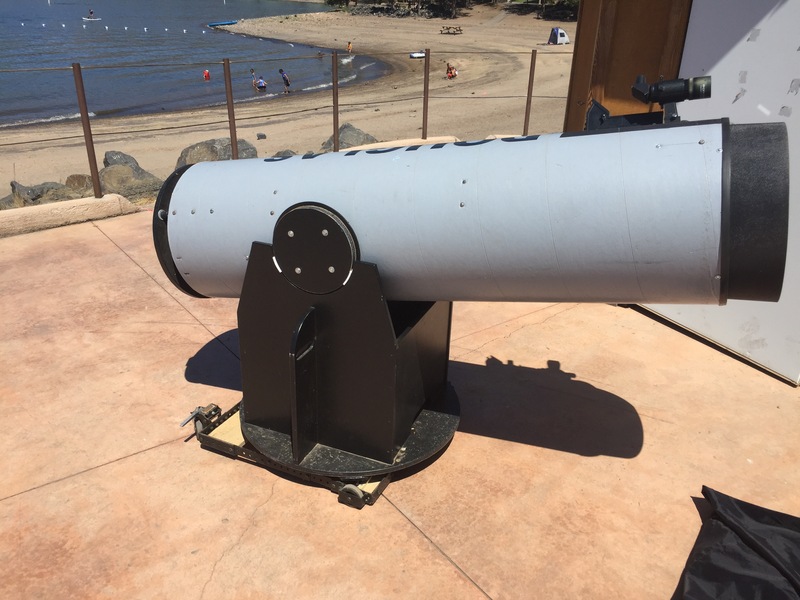 We had the pleasure of running the stargazing program, and using the park’s 16″ telescope. 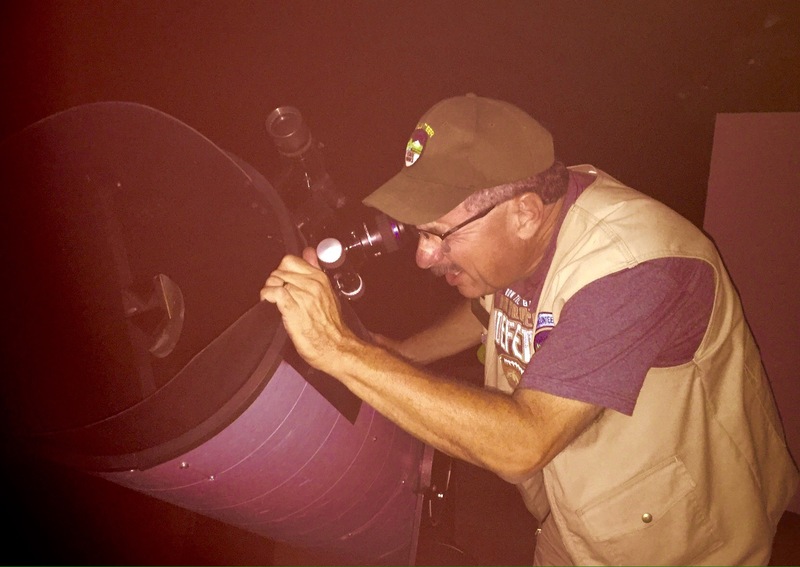 The campers really enjoyed seeing Saturn, Jupiter, the Moon, Andromeda Galaxy, and Ring Nebula…and we enjoyed hearing their reactions. The new park manager, Mike, has been extremely supportive and helpful. 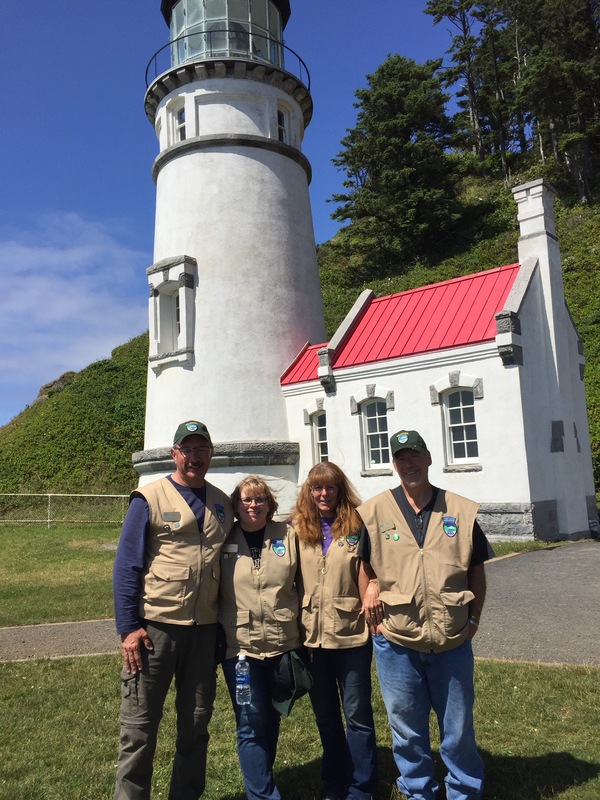 The park staff, including our supervising ranger Nate, has been fantastic to work with. We are definitely going to miss them. And what about Prineville itself? Well it tuned out to be just super. We used the library many times ($15 got us a three month membership! ), we shopped at Ray’s Supermarket almost exclusively, fueled up at Union 76, ate at the Sandwich Factory and Crooked River Brewery several times, and visited the Bowman Museum…one of the coolest little community museums we’ve ever seen. 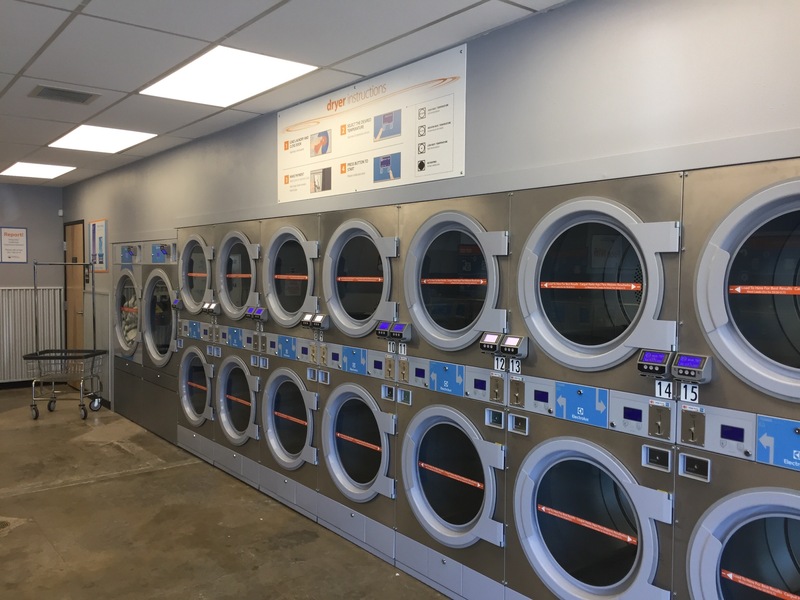 We found the brand new Express Eco Laundromat, which was amazing. 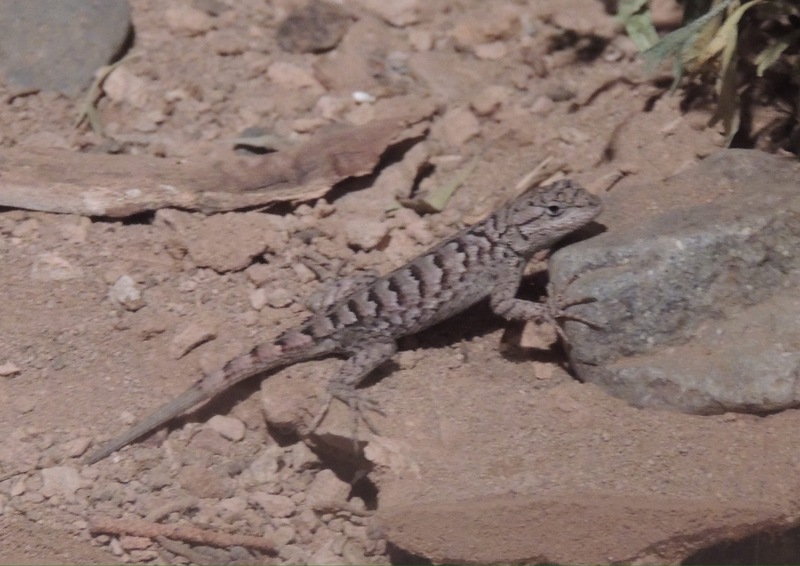 Turns out they have them all over Oregon. Clean laundromats are hard to find; be sure to take note, fellow full time RVers. Where does exploRVistas head next? Well, we are hooking up and heading east across the northern states towards Michigan to see family, friends, and our doctors. From there, we mosey south to winter in Florida. We plan on taking our time along the entire route, so be sure to follow us to see what we find along the way! 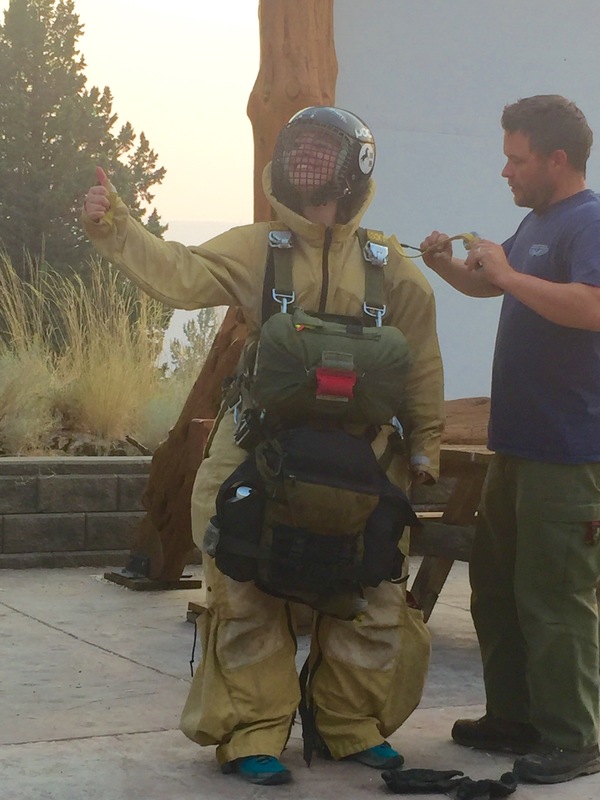 Smokejumper: A Memoir by One of America’s Most Select Airborne Firefighters and other cool stuff on our exploRVistas Amazon link by clicking HERE. 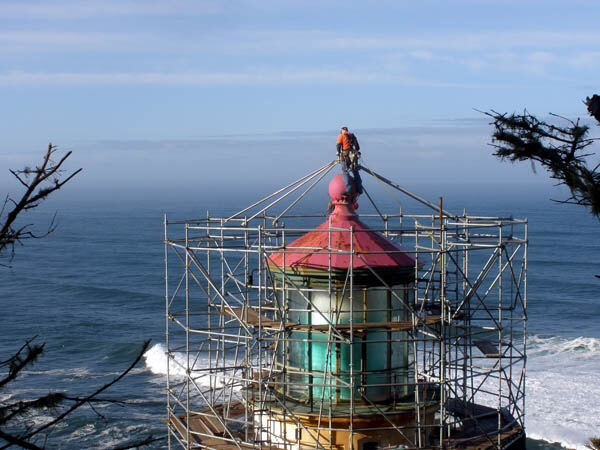 June 29th brought an end to our time on the Oregon coast and Heceta Head Lighthouse. Never in our wildest dreams did we expect our time there to be as great as it was! 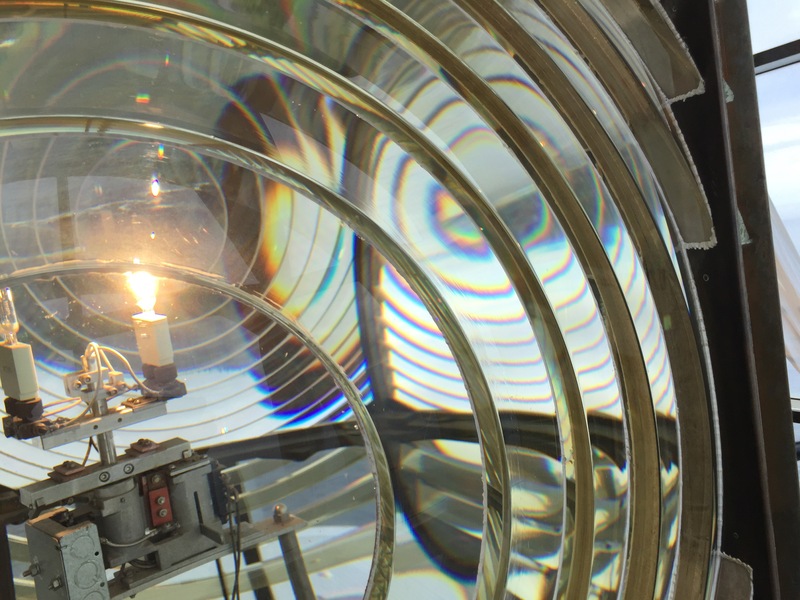 To give our personal history of this lighthouse, we have to go back to 1996. We were camped in Florence at the time, and Diana saw a flyer on a bulliten board in a grocery store for a special night tour of the beacon being offered by a graduate student that same night. We took the tour, walking up the 1/2 mile path with flashlights in the fog to the building. We all climbed the tower and when we came back down, the fog had lifted. We could see the beams pinwheel 21 miles out to the horizon. Having worked so hard for the previous 4 years to get Old Mackinac Point in Michigan reopened (which was still a long 8 years in the future), the sight of a working first order lens moved me to tears. Yes, this job this summer meant a lot to us. Right off the bat after our arrival on May 24, things clicked. As I was setting up camp, a fellow host named Rick stopped by with his dog. I caught that his name was Rick and that he was from Wisconsin…and that his dog’s name was Maxine. I was a tad preoccupied, so it never clicked with me that I had seen his face before. He thought he recognized me also, but didn’t mention it at the time. As I tell this, keep in mind that none of us had cell or data signals at the campground. Our mutual friend Tracy figured it out from her campground in northern Oregon and sent us both texts, but neither of us got them until we were in town the next day! It turns out that Rick had attended the spring 2014 RV-Dreams rally and we had attended the fall rally later that year. I had put in a friend request to him on Facebook a month before, as I had seen that we had 11 friends in common. My first thought upon seeing that was ‘I need to get to know this guy’. Well, as luck would have it, we now know him very well and are proud to call him a very good friend! One of the benefits of Rick and us coming in before Memorial Day is that we got to meet the previous month’s hosts. As you can see, we all hit it off right away. 😊. Thanks to Cary and Rick for this photo! Five of the people in this image, including us, stayed on through June. 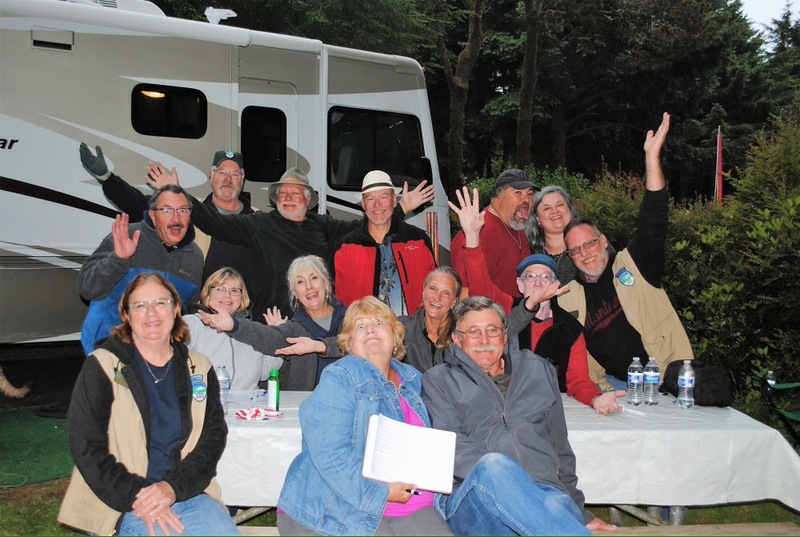 Not all of us were interpretive hosts at the lighthouse; some were campground hosts at Carl Washburne State Park. Michael (in the blue hat) volunteered for U.S. Fish and Wildlife, using a scope and binoculars at the lighthouse to show visitors the various wildlife along the shore. Along came June…and with it came several new folks. Rick, Cary and Michael stayed on, and we added John & Linda as camp hosts, along with Neil, Beverly, and Lisa as lighthouse hosts. 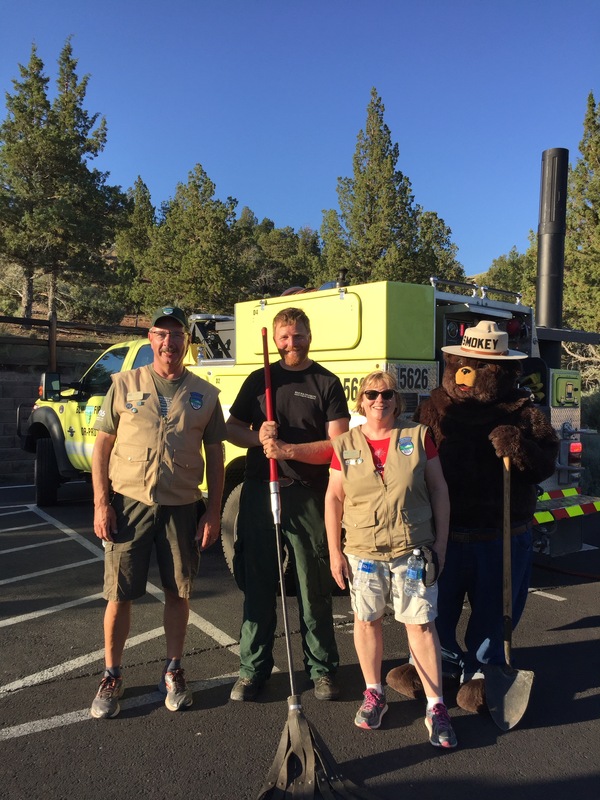 A special shout out to the wonderful rangers at Washburne…especially Ben and Deb, as we worked closest with them. We really had fun with this crew! 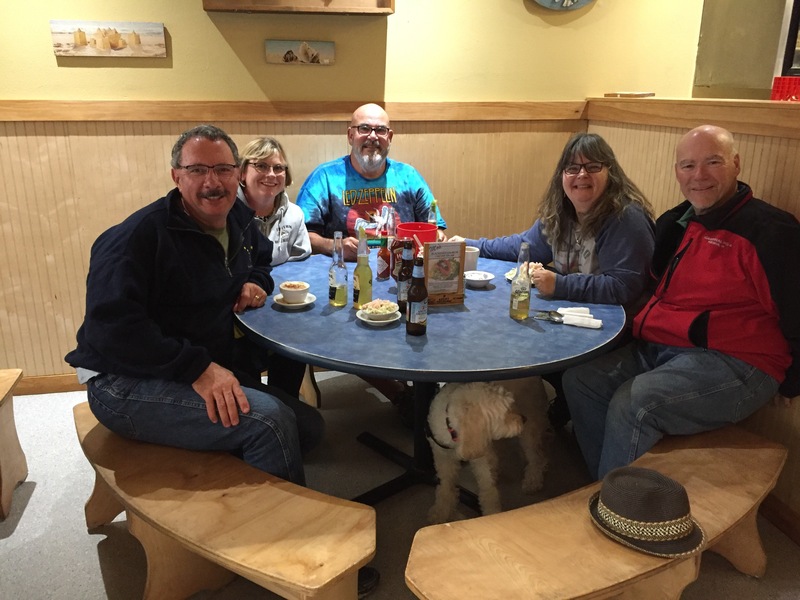 We also were visited by our friends Jodee and Bill, who were camped in Florence for a few weeks. We also spent a few days with our friends Tracy and Lee when they came to visit! Here we are on a visit to the beach at Washburne. 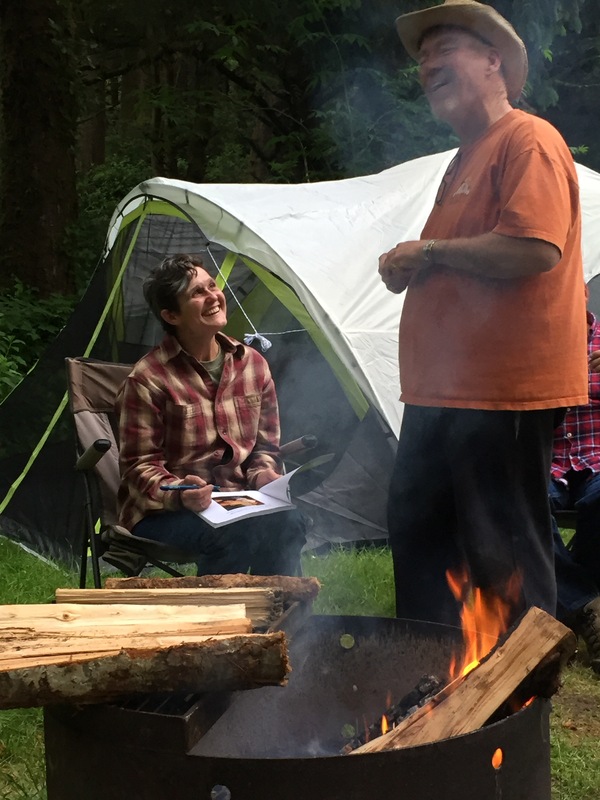 And here is Tracy signing Rick’s copy of her new book, RV Living Cookbook. We had bought the Kindle version, so we couldn’t get ours signed! The last evening they were here, we all made the trek up to the lighthouse at night. It is darn near impossible to photograph the beams of light coming from the sentinel, but it was pure magic to see Heceta’s lens doing its job again. It took me right back to 1996. Lee commented that it was one of the coolest thing he had seen since going on the road! 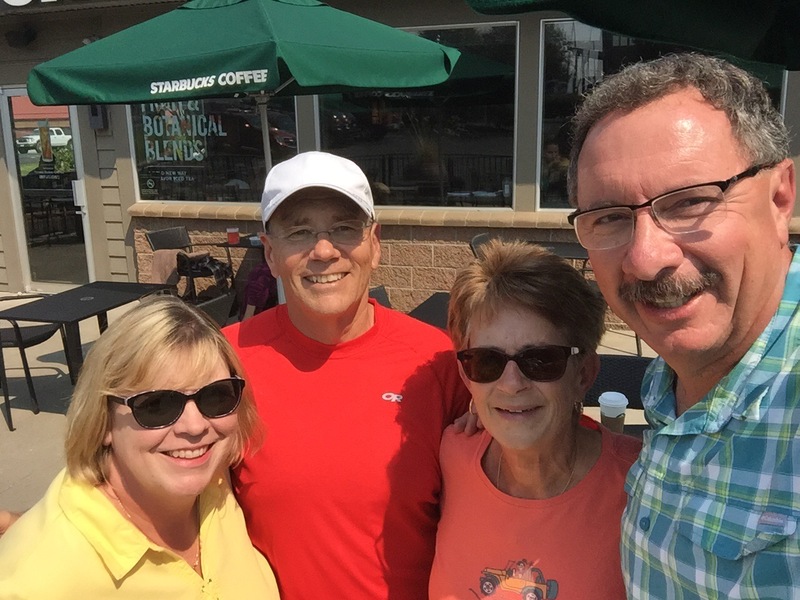 We had such a marvelous time with Tracy and Lee, and we plan on seeing them again this summer! 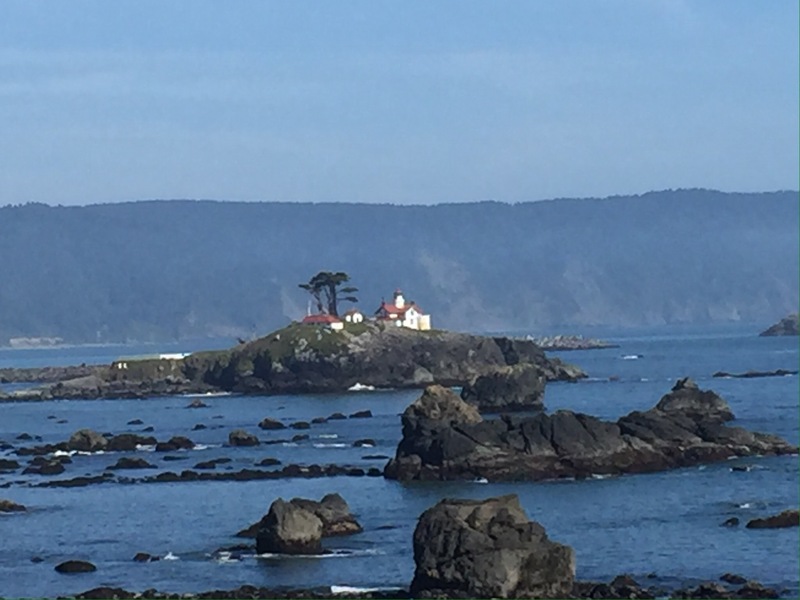 Beyond our friends and coworkers, we also became familiar with the towns of Yachats and Florence. Not having phone or Internet at Washburne, we ended up using the libraries in both places….especially Florence. 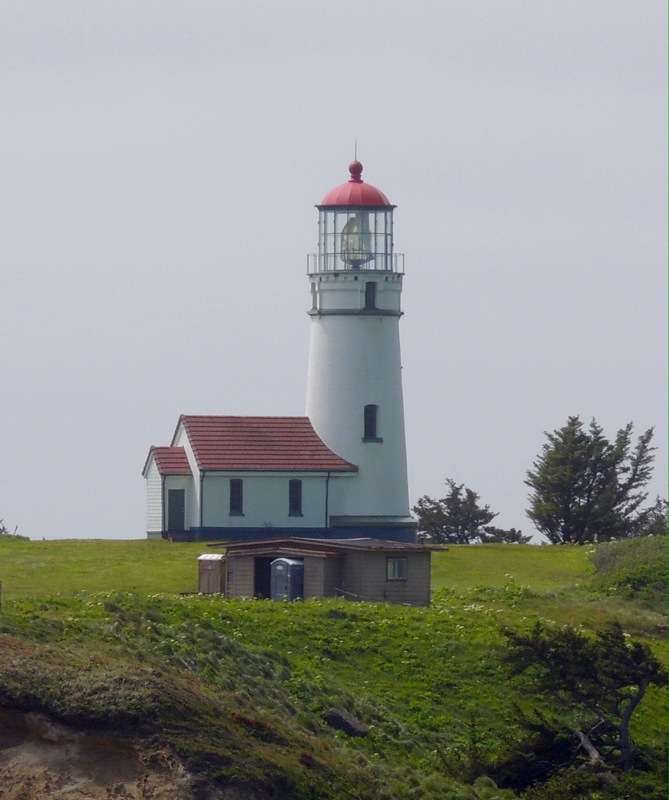 We purchased a three month pass to their branch of the Siuslaw Library System for $15, which includes access to their online books. We also were frequent visitors to the local Fred Meyer, to a point that we knew where most things were in the store. We really enjoy this part of our lifestyle, as we get to experience how others live, whether good or bad. 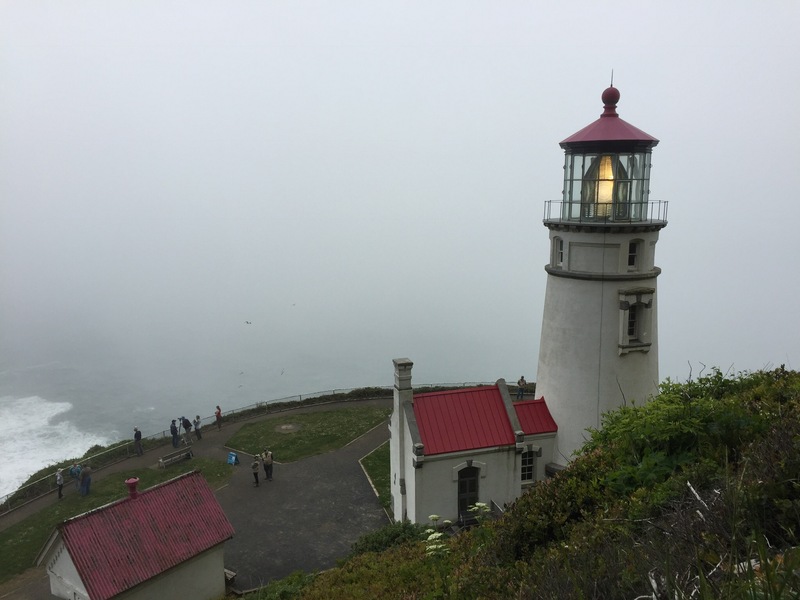 We would rate life on the Oregon coast as very good, although the dampness and cloudiness would wear on us over a longer period. Still, we thoroughly enjoyed our time there and we are glad we did it! A link to our favorite litter stick from the lighthouse, plus other amazing things on Amazon! Heading into Northern California on US-101, we were really impressed with how beautiful the region was. The hills along the winding road soon were filled with progressively taller forests, eventually transitioning into groves of coastal redwoods. 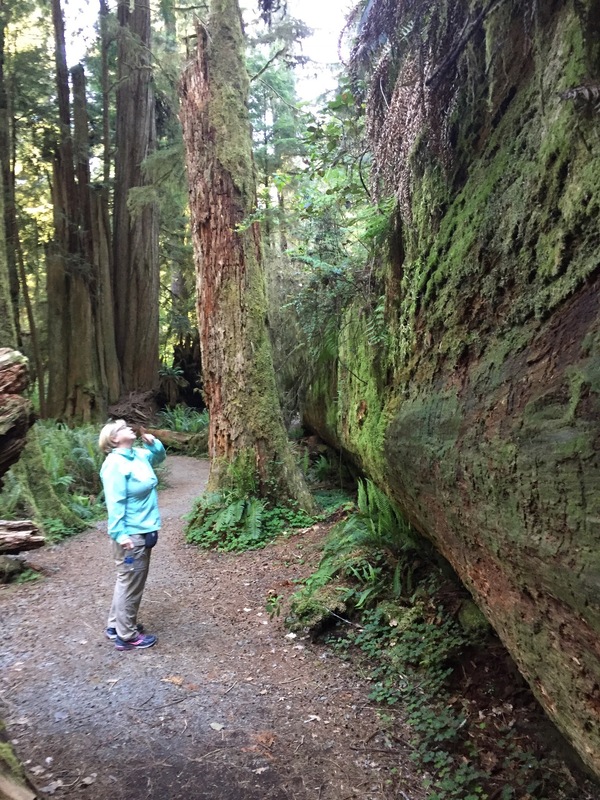 We spent a night in Myers Flat to quickly explore the Avenue of the Giants, knowing we were going to be spending a full day at our next stop in Redwood National Park. 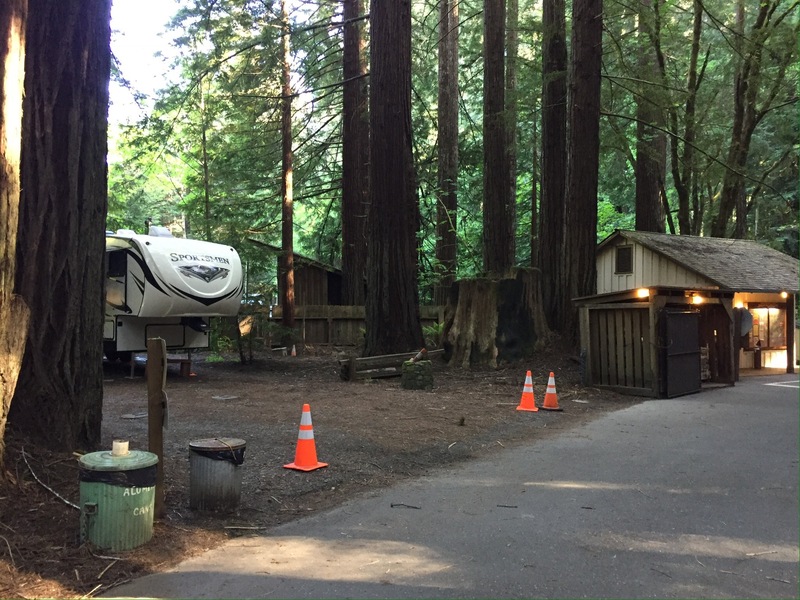 While checking out the visitor center at Humboldt State Park, we noticed the campground next door. When we walked in to take a look, we realized that it was the same place that our friends Lee and Tracy had hosted at back in 2015. 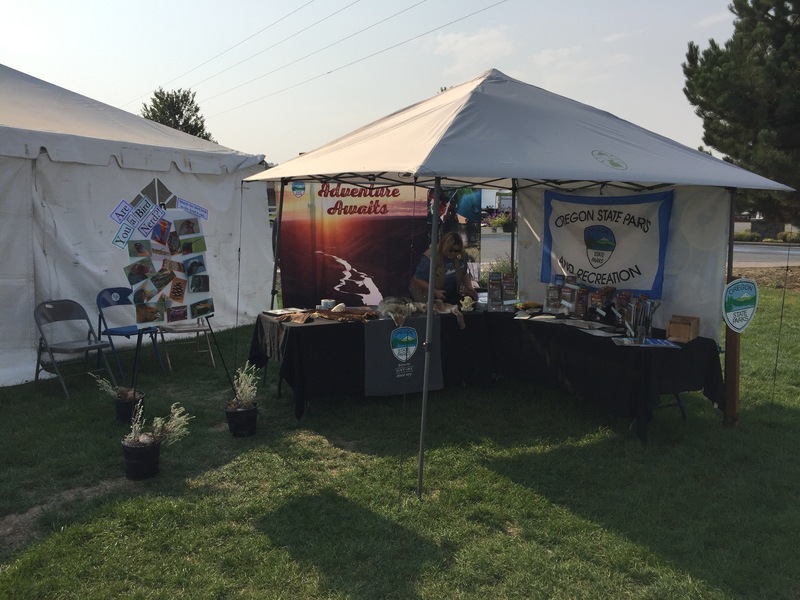 The next day, we drove up to Klamath and set up on a riverfront site at Klamath River RV Park. We decided to do a little exploring, so we drove down towards the ocean. One of the first things we saw was the entrance to the old US-101 bridge over the Klamath, which was washed out in 1964. 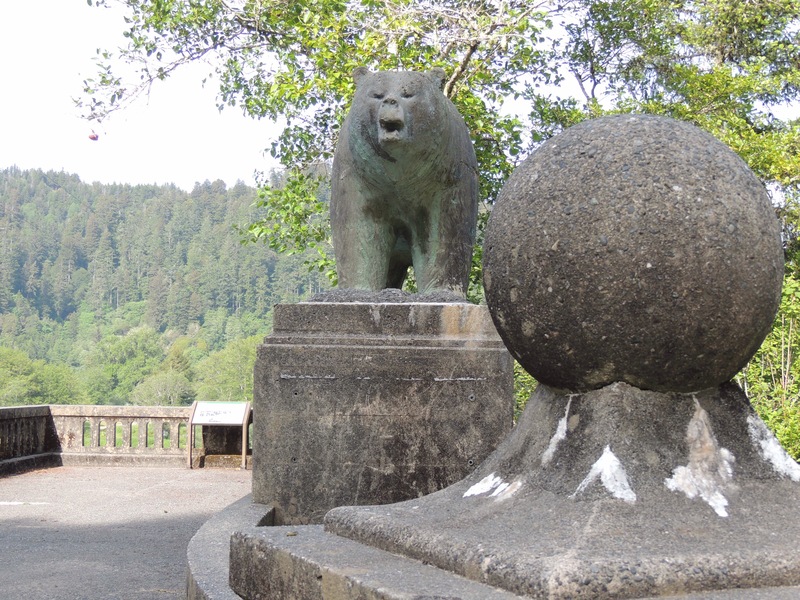 The span featured these concrete grizzly bears on the railings, similar to the gold bears on the new span farther upriver. Why are the bears on the new span gold? Well it seems that back in the 1950’s, several friends were at a local bar discussing how the town needed to be spruced up. They set out that night sweeping up the streets and washing windows on the businesses. 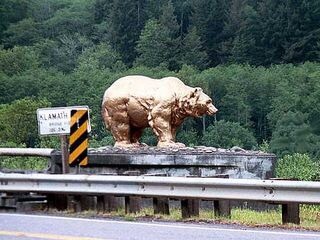 To top it all off, someone suggested they coat the bears on what is now the old bridge with some gold paint that he had in his shed. When the California Department of Transportation saw them the next day, they sent workers with turpentine to remove the golden hue. This went on back and forth several times until the state finally gave in and left the grizzlies as the townsfolk wanted them to be. We drove to the national park visitor center in Crescent City the next day to get our bearings. We had business to take care of that required good wifi, so we knew our time would be limited in the park. We made good use of the local library’s wifi, and checked out ﻿town before heading out to see the big trees. Battery Point lighthouse sits just off the mainland. There is a trail out to it that is accessible only at low tide. From there, we drove up into a grove of trees northeast of town. 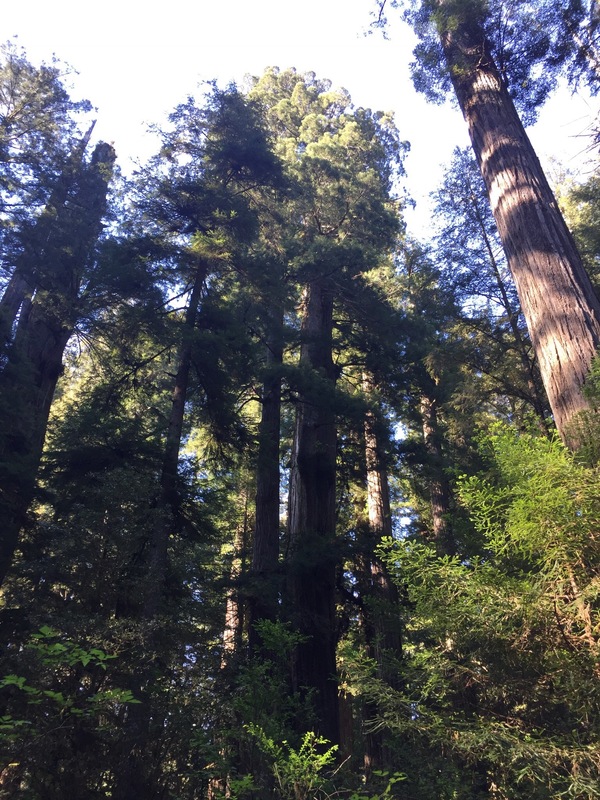 The height on the coastal redwoods can get quite a bit taller than sequoias, even though they aren’t as old or as big around. Even after they’ve fallen, they are gigantic! 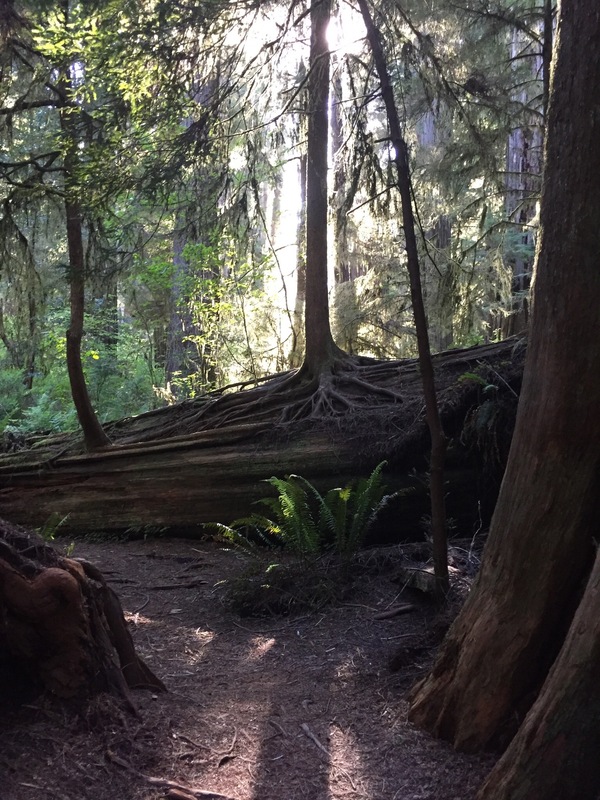 They are so rot resistant, large trees take root in them and grow to impressive heights before the nurse log has a chance to decay. 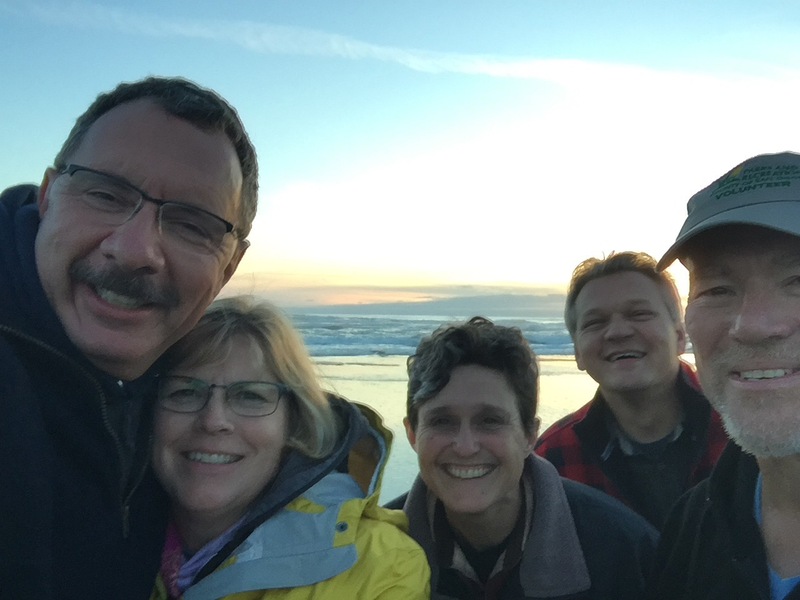 After spending nearly a month exploring California, we arrived in Oregon on Tuesday, May 23rd. 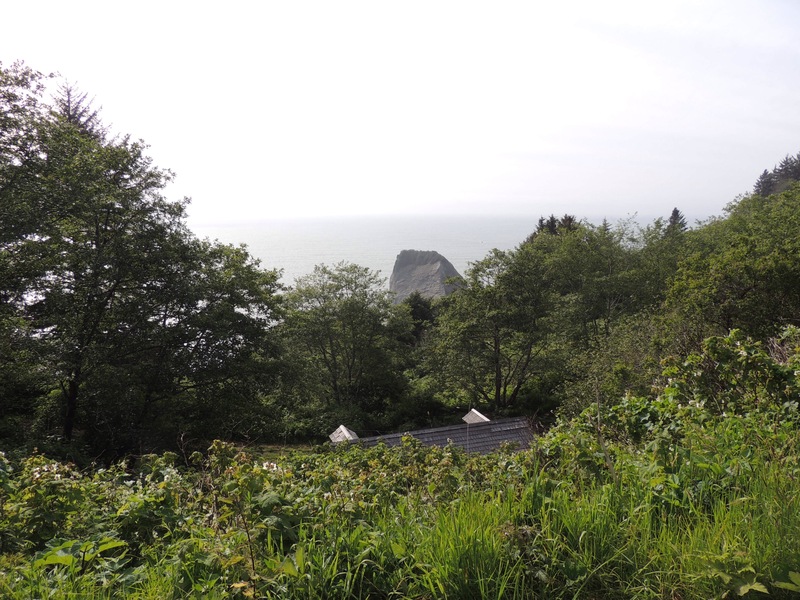 Our first stop was in Port Orford. 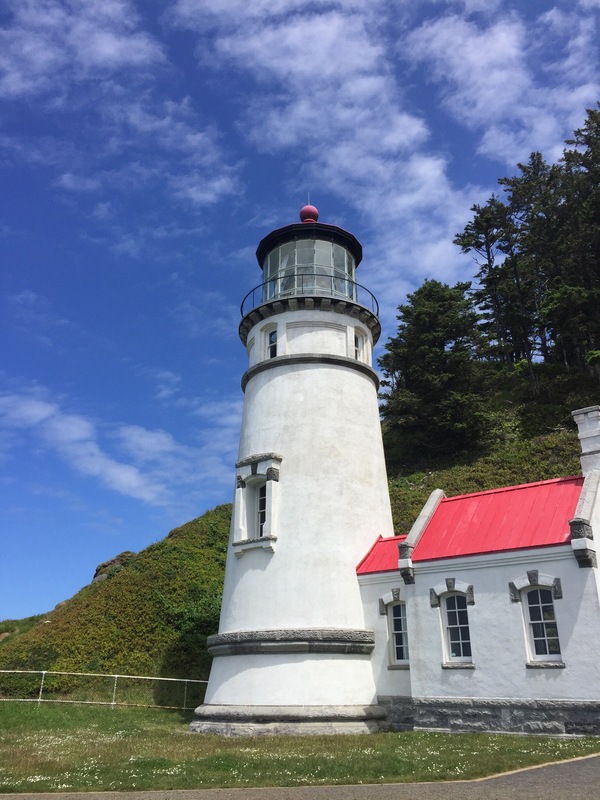 We drove out to Cape Blanco to check out the lighthouse and the westernmost point in the contiguous United States. The wind was blowing so hard, we had trouble holding our footing! It was incredible! 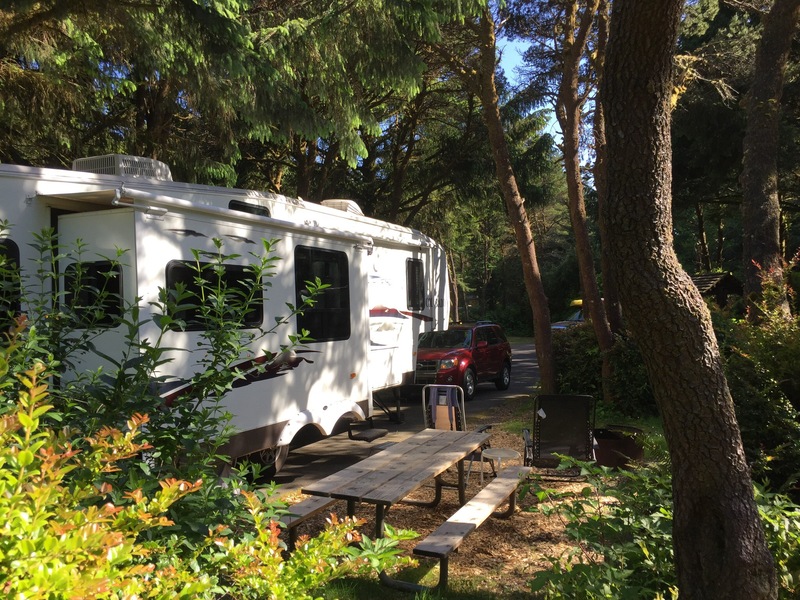 On Wednesday, we arrived at Carl G. Washburne State Park north of Florence, Oregon. 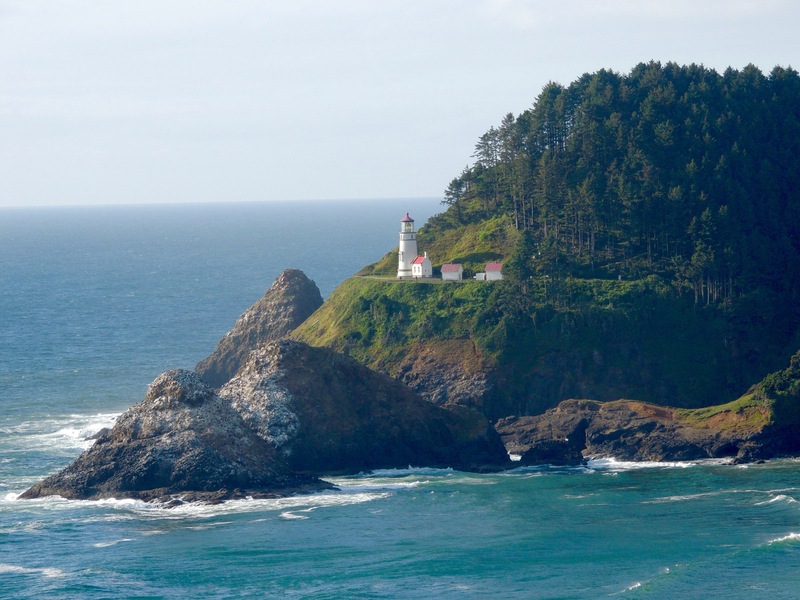 …Heceta Head Lighthouse! 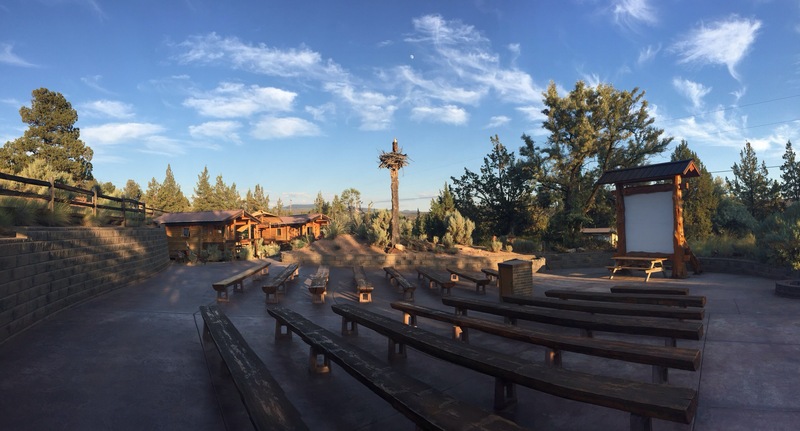 This sentinel has held a special place in our hearts since we visited it during a special nighttime tour back in 1996. We will be giving tours until the end of June, when we will be moving on to a different adventure. 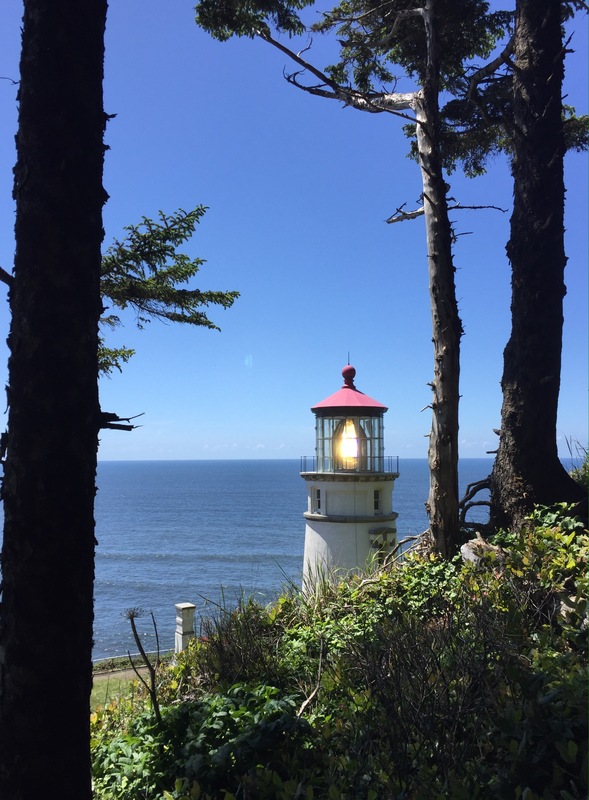 Our internet is non-existent at our campsite, but we do get service in the day use and at the lighthouse. If we are slow to respond to comments, that’s why. Please stay tuned as we explore the central Oregon coast over the next month!